Providing legal advice at the beginning or end of a relationship or during a family dispute is something we do well. As advisors we will be sensitive to your needs and will provide practical advice and solutions to ensure you get a fair deal.  Our specialist relationship and family law team was established in 1986 – coming off the back of the new Matrimonial Property Act 1976 and changes to the Family Court in 1982. We have a number of lawyers who work almost exclusively in relationship property law and a lot of the work we do is complex, high-value relationship property work. We always look to find practical solutions for our clients, and we’re excellent negotiators and advocates. There are two main types of relationship property work that we undertake, the first relates to the division of property when a relationship comes to an end by separation, or sometimes, by death. The second, which is a large part of our practice, involves protecting assets for our clients when they enter a new relationship, particularly when the relationship is a second relationship, the parties have acquired assets prior, and there are children from previous relationships. We have worked with leading Counsel in high-profile litigation concerning the division of relationship property, as well as for clients who have separated from their partner/spouse after longstanding relationships, and where there are assets such as the family farm involved. When assets such as the family farm have to be divided, there are usually complex, inter-related ownership structures at play, including Trusts, Companies and Partnerships. We ‘untangle’ these structures so that our clients are no longer tied to their ex-partner/spouse and can move forward with their life. Providing independent legal advice in respect of an agreement to protect relationship property. Advice on the division of assets at the end of a relationship. Negotiating resolutions when things get tricky. Preparing Family Court and High Court proceedings (if agreement cannot be reached and litigation is required). Appearing in the Family court and High Court if required, including at Judicial Conferences, Settlement Conferences and defended hearings. Advice on, and the preparation of Wills.